Philadelphia winters can be brutal. 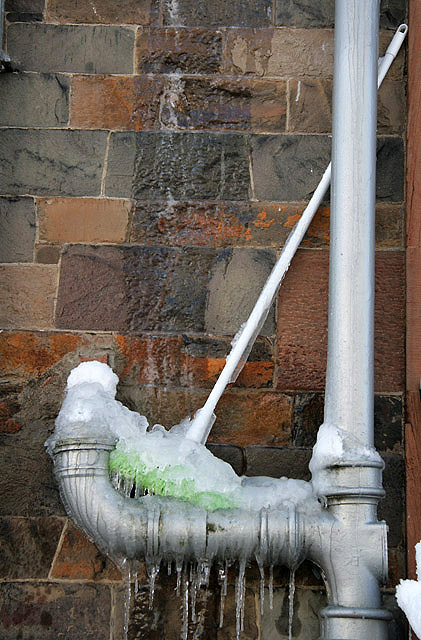 Cold temperatures can cause a plethora of problems for homeowners, one of the most important to address is frozen pipes. Temperatures that drop below freezing can cause the water in unprotected pipes to expand and freeze. Pipes that run through uninsulated spaces and exterior walls are especially at risk. Homeowners can mitigate the risk of having frozen pipes by practicing basic energy conservation methods. Some long-term steps for preventing frozen pipes include sealing cracks in basement and attic walls, insulating unprotected pipes with pipe sleeves, and adding caulk to the areas surrounding basement crawlspaces and windows. Homeowners can also install thermostat-controlled pipe heating cables to existing pipes. For those who do not have much time to prepare their homes, some short-term steps for preventing frozen pipes can be practiced as well. The quickest solution for preventing frozen pipes is to locate the main water shutoff valve and turn off any water directed to exterior faucets. Homeowners should disconnect garden hoses attached to exterior faucets any water in the hose from freezing and rupturing the faucet. Some other short-term best practices for preventing frozen pipes include keeping the thermostat to the daytime setting at night, closing foundation vents, and opening cabinet doors under sinks to let warm air flow around supply lines. Many insurance policies cover flooding caused by ruptured pipes, but proactive homeowners will save money and prevent further stress by enacting these long-term preventative measures.